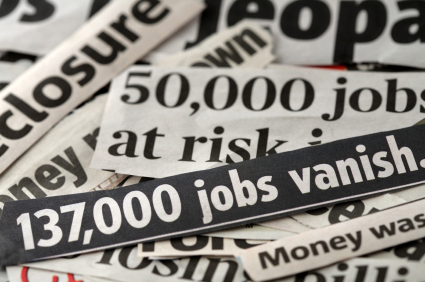 What Should I do if I'm Laid off or Might be Laid off? Boeing: Boeing is an Aerospace and Defense based company founded in 1916. Boeing Headquarters are currently located in Chicago, Illinois. Boeing has about 164,495 employees all over the globe. Boeing is most commonly known for their airplane service. Boeing is also the largest exporter by value in America today. Our Employment Law Attorneys can help guide you if you are laid off or having problems at work and fear your employment may be terminated. This may be your first experience with a severance agreement. It's not ours. Our Severance Agreement Lawyers have reviewed, drafted and/or negotiated thousands of Severance Package Agreements - Do not sign until you learn your rights and maximize your compensation. 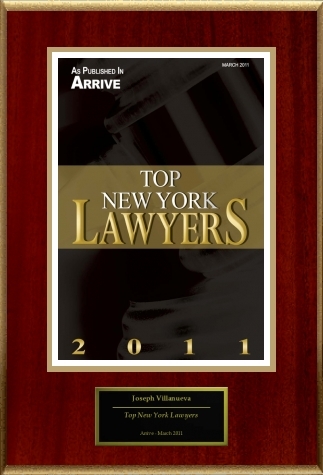 About Our Law Firm: Our New York, New Jersey and Connecticut Severance Pay Package Agreement Lawyers have advised Fortune 100 companies on severance packages, plant closings and layoffs and, are now using this valuable experience, to successfully represent current and former employees to obtain greater compensation (payable in a lump sum or weekly), a longer employment period and delayed termination date, longer periods of health insurance coverage and other valuable benefits in severance packages. If you have been presented with a Severance Pay Agreement, don't sign it until you learn your rights and maximize your compensation and benefits - call now to speak with one of our New York City Severance greement Attorneys at (800) 893-9645 or send us an email. Our New York City Severance Agreement Attorneys will answer all your questions regarding the terms of severance, explain the terms of the Severance Agreement, inform you of your legal rights, and negotiate your severance agreement in order to maximize your compensation, benefits and perks. What Should a Typical Severance Agreement Include? * If applicable, uniform application of severance pay calculator computations. It is very important for employees to review their severance packages with an experienced employment lawyer so that they understand and fully appreciate the benefits and obligations imposed in the Severance Agreement. As severance agreements may bar employees from bringing future lawsuits against their employers for claims such as employment discrimination, sexual harassment and payments owed such as bonuses, it is crucial to review the severance agreement and the circumstances of your termination to determine if any claims exist prior to signing. Call now to speak with one of our New York City Severance Attorneys at (800) 893-9645. Learn your rights before you release and waive all your claims against your former employer. What Will Your Legal Severance Review Include? If we are retained, our Severance Lawyers will negotiate your severance package to obtain a great severance payment for you. Our New York City Severance Package Lawyers have frequently lectured on severance pay issues and have written many articles on Severance Pay on our Employment Law Blog including Top 10 Things to Know Before Signing a Severance Agreement. Click below for more of our informative blog articles. Meet Our Lead Severance Pay Attorney and read our Testimonials. Our New York City Employment Law Employee Rights Attorneys also represent employees in unpaid wage claims, overtime pay claims, non-competition agreement claims, discrimination and retaliation claims. Our New York City Employment Law Defense Attorneys represent employers in defending charges of employment discrimination before the New York State Division of Human Rights and EEOC. We also defend employers in federal and state court for baseless claims of unpaid wages under the FLSA, employment discrimination and sexual or racial harassment claims before the NYSDHR and EEOC and other common law claims. Our Employment Law Attorneys represent clients throughout New York City (Manhattan, Brooklyn, Bronx, Queens and Staten Island), Westchester County (including but not limited to White Plains, Yonkers, Mount Vernon, Tarrytown, Scarsdale, Hastings, Ardsley, Dobbs Ferry, Irvington, Rye, Rye Brook, and Harrison), Rockland County (including but not limited to New City and Nyack), Long Island (Nassau County and Suffolk County), New Jersey (including but not limited to Bergen County, Somerset County, Essex County, Hudson County, Union County, and Middlesex County) and Connecticut (including but not limited to Stamford, Greenwich and Norwalk).